Guest Blogger Jane Felczak from Henry Ford Health System helps family caregivers learn to build the resilience they need as they tackle the tough job of caregiver. It’s a demanding job that comes with no pay and no benefits. Most workers average 24 hours per week, but some put in more than 40. Half of these workers say they had no other alternative but to take on the responsibility themselves. The job is “caregiver,” a position more than 43 million Americans accept, often in addition to a full-time job and their own home and family duties. Caregivers provide assistance for a parent, spouse, partner, child, friend or neighbor when that individual becomes unable to care for themselves independently. Caregiving may be short-term, following an injury or illness, but more often, it is a long term arrangement. With so much to do and little time for themselves, caregivers frequently suffer from stress and “burnout.” Symptoms of burnout are loss of interest in other activities, anxiety, withdrawal and depression. It’s a cycle of mental, emotional and physical exhaustion, and happens after putting forth continuous effort without time to restore and relieve. If you feel like you have to “do it all” and can never take a break, you are a prime candidate for burnout. If you’re experiencing burnout, the first step is to learn to recognize, deal with, and control stress through simple self-care strategies. Then, learn to be resilient – to cope with stress and use resources to protect and enhance your own well being. When we’re resilient, we can bounce back from stress, deal with life’s challenges and disappointments, and still be okay. At the Area Agency on Aging Caregiver Expo, Saturday, Oct. 14, in the Diamond Ballroom at the Suburban Collection Showplace, Novi, I’ll present specific strategies caregivers can use to increase their resiliency, and some exercises to help you get started. 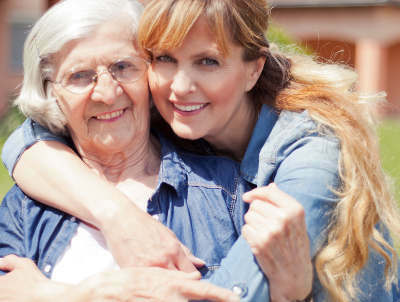 You’ll learn to increase your resiliency by creating strong physical, mental and emotional well being that will see you through a prolonged period of stress, like the stress that comes from caregiving. The strategies are straightforward and specific. You’ll leave with tools and a plan to care for you – the caregiver – and develop resiliency in yourself. A web site with caregiver resources and information: henryford.com/familycaregivers. Expert staff to advise caregivers via phone: 313-874-4838 or email: CaregiverResources@hfhs.org. Over the past year, C.A.R.E. Program staff has developed a comprehensive, user-friendly Caregiver Binder. This tool was designed to be shared among caregivers and health care providers, and keeps important information in one place. Caregivers can take the binder to doctor’s appointments, keep track of medications, lab results, medication information, medical records, and their own questions and answers. Pockets, a writeable calendar, business card holder and other practical features are designed to help caregivers organize the binder to fit their needs. The binder will be piloted among select patient populations at Henry Ford this year with the goal to expand its availability following the pilots. Henry Ford recognizes that caregivers play a vital and challenging role in patient health, and is striving to become an industry leader in caregiver support, education and resources. Contact the C.A.R.E Program at 313-874-4838 or CaregiverResources@hfhs.org to find out more. If you’re looking for additional resources on caregiving, be sure to visit the Area Agency on Aging 1-B’s Solutions for Family Caregiver Expo happening on Saturday, October 14 at the Suburban Collection Showplace in Novi. The expo brings all the information caregivers might need, together, in one place on one day. There will be twelve informational presentations to choose from, and you’ll also be able to visit the exhibit hall and meet with Resource Specialists from the Area Agency on Aging 1-B . Parking and admission for the expo is free and it’s a great way to find information and connect with the resources that might be able to help. Be sure to also visit the Caregiver Resources page of the Area Agency on Aging 1-B website. There, you can find out more about classes on caregiving, other support groups for family caregivers in the area, and the AAA 1-B electronic newsletter for family caregivers.